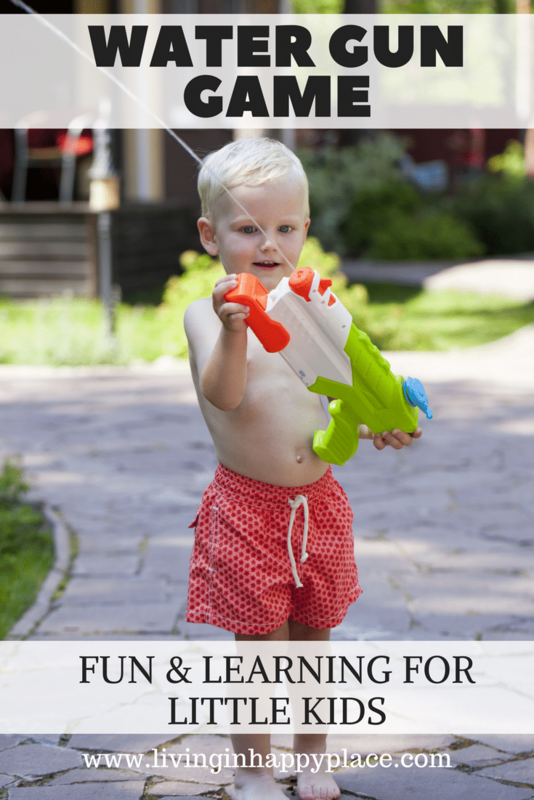 Squirt Gun Game: Water gun summer fun for little ones! Squirt gun game even the youngest kids can play! It’s summer! Squirt gun time! Squirt guns (or water guns) can be fun or can be a headache to referee. Use this game to keep kids on task and not squirting each other in the eye. Even the little kids can play this fun, simple squirt gun game. It is also a great game to build hand-eye coordination and fine motor skills. Summer means outdoor games! Swing sets, pools, water guns, and making memories. Every time the water guns come out, someone ends up in tears. “She squirted my face” or “I don’t want to get wet” or “Please don’t squirt the dog”… Little kids want to join in the fun so I wanted to make water guns a game that did not end up with someone crying. Luckily, my husband is addicted to those store crane games (the one where you try to pick up a stuffed animal with a small crane/claw). Every time he sees one in the mall, the grocery store, restaurants- he has to stop and play it. We have boxes of stuffed animals. Boxes. Every Christmas we donate what we have accumulated to charity. I hope they won’t mind if I use a few for this game. I’m positive my husband will replenish the stash. Unfortunately for me, he is quite good at the crane game. Fill up some water guns. I always bring a pitcher of water outside to refill the guns. This avoids wet kids running in the house or “accidents” with the hose. 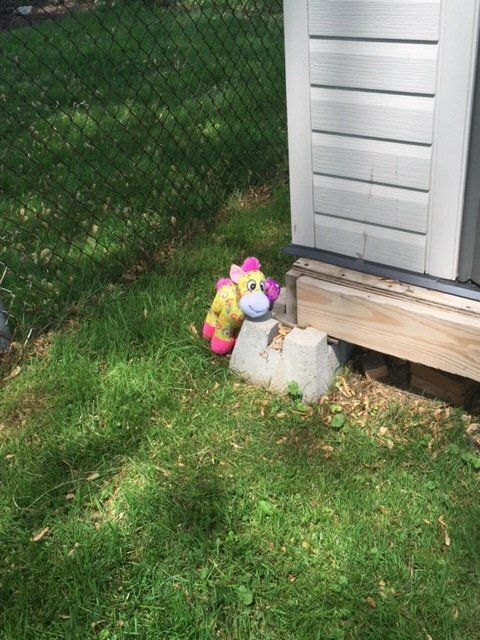 While the kids aren’t watching, grab a bunch of those stuffed animals and hide them throughout the yard. 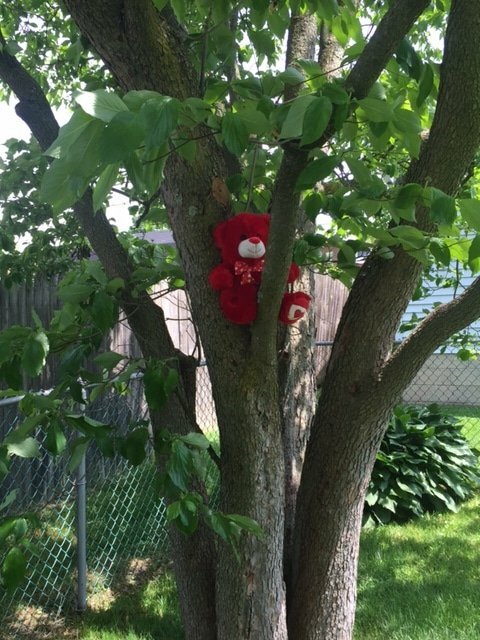 In the trees, under the slide, in the playhouse, behind the shed- anywhere you think a stuffed animal could hide. Now tell the kids there are “bad guys” hiding in the yard. Let them run loose! They have to find all those bad guys and squirt them! I always try to have the kids be a team against the bad guys to avoid having a “winner” and a “loser”. 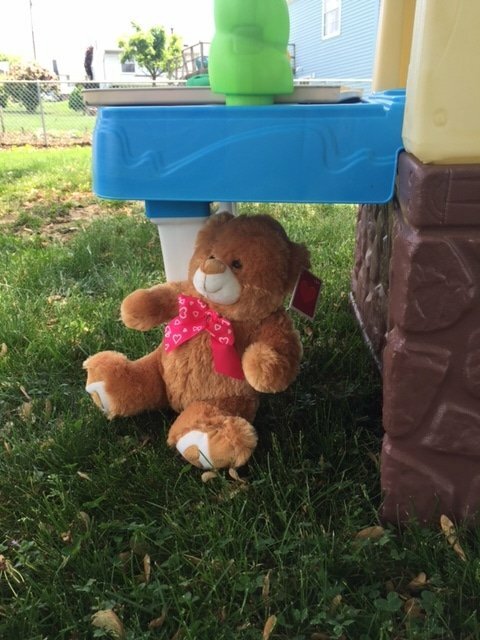 Once they find all the bad guys, you can let each kid take a turn hiding the stuffed animals so the other kids can find them. It seems simple but sometime simple is best. It is an easy game that can keep them amused and not squirting each other! Practice colors– only shoot the bad guys wearing red/green/blue, etc. Another quick tip: count the number of animals that you hide. 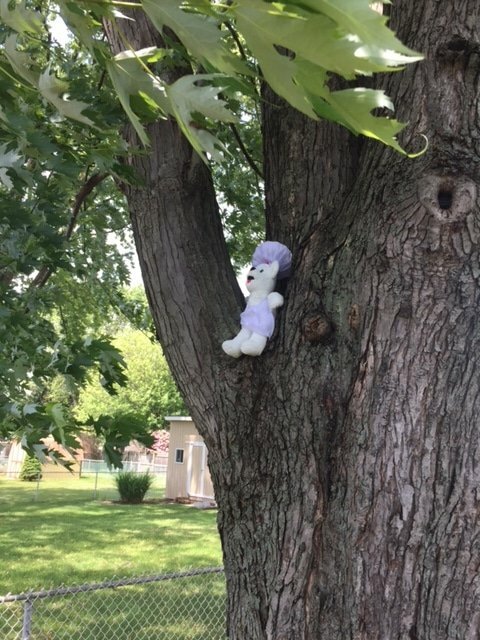 This way, no stuffed animals are left in the rain (and get GROSS like these water toys did) and husbands won’t run over any green army men when they are cutting the grass. Let the games begin! Don’t forget to PIN it for when you need a quick, fun game to keep the little ones occupied this summer! Do you have any games that you modify for smaller kids? Are there any tricks you use to make games educational? Please share! Water gun, sun, and fun for everyone. I hope this squirt gun game helps keep the peace and provides some learning fun!